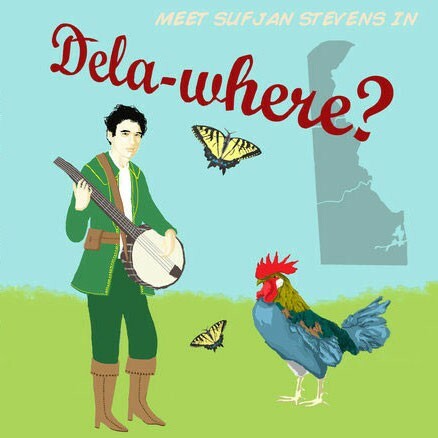 CREDIT: Long Lost Sufjan Album - Dela-where? … ‘liberating’ is an appropriate word, because I felt burdened by the conceptual weight of my previous records. I just wanted to be straightforward, and it was necessary for me to shake it up a little bit. It is more personal, because I didn’t have an object to project meaning on to, so I was left with my own instincts, my own emotional impulses. I was very consciously refining the language… Well, not refining it, but reducing it to core, fundamental principles about love and loneliness. It was about allowing myself to express those feelings in very matter-of-fact, almost cliched terms. The size of the album is a response to all the theatrical clutter that characterised all my previous work. I was getting tired of that self-conscious, rambling psychobabble. I got really sick of myself and my own flawed, epic approach to everything. Probably the smartest thing Stevens did was get sick of his “flawed, epic approach to everything” before his audience felt the same way, because, (once again) going by the comments, no one wanted another Illinoise, even if it were as good as Illinoise. 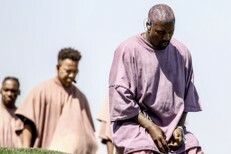 Some other interesting bits from the interview: Stevens really did consider quitting music, and he felt that he lost his way while working on The BQE. The National did play some instruments for the Age Of Adz sessions, but Stevens doesn’t think any of it made the actual album. Announcing the 50 States project was just ‘hyperbole’ but he doesn’t regret it at all. And he’s still knitting hats and scarves, with the occasional sweater thrown in.